Bubble ring. Bubble Ring Photo. A bubble ring. 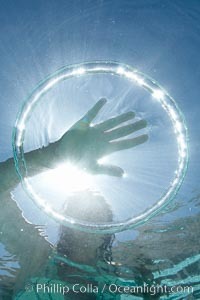 A young girl reaches out to touch a bubble ring as it ascends through the water toward her. Bubble Ring Picture. A bubble ring. 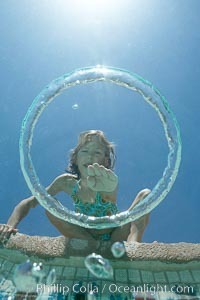 A child puts her hand through a bubble ring at it ascends through the water toward her. 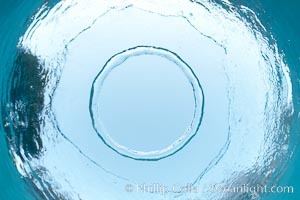 Stock Photography of Bubble Ring. A bubble ring. 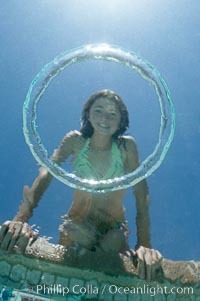 A young girl watches as a bubble ring ascends through the water toward her. 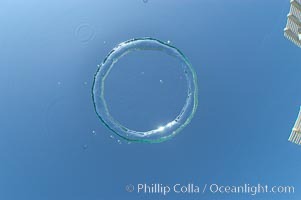 Photograph of Bubble Ring. A bubble ring. 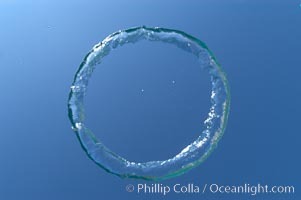 A toroidal bubble ring rises through the water on its way to the surface. Bubble Ring Photos. A bubble ring. 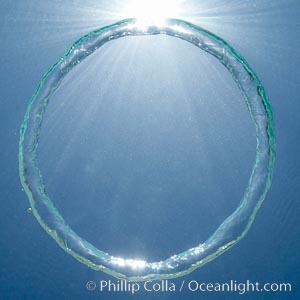 A toroidal bubble ring rises through the water on its way to the surface. Bubble Ring Image. A bubble ring. A toroidal bubble ring rises through the water on its way to the surface. Professional stock photos of Bubble Ring. A bubble ring. A toroidal bubble ring rises through the water on its way to the surface. Pictures of Bubble Ring. A bubble ring. 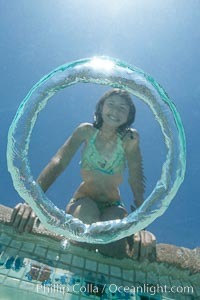 A young girl watches as a bubble ring ascends through the water toward her. Bubble Ring Photo. A bubble ring. 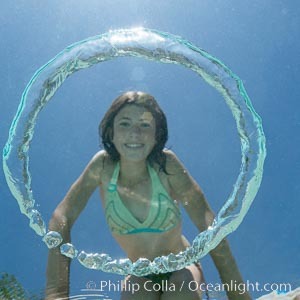 A young girl watches as a bubble ring ascends through the water toward her. Bubble Ring Picture. Bubble ring. Stock Photography of Bubble Ring. A underwater bubble ring! 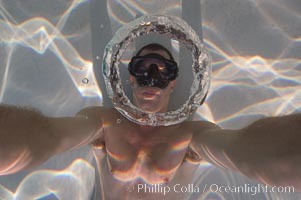 Similar to the rings created by smokers, an underwater bubble ring can be made by exhaling just right. When done correctly, the ring will rise toward the surface keeping its perfect toroidal form until it reaches a state of instability and breaks up. 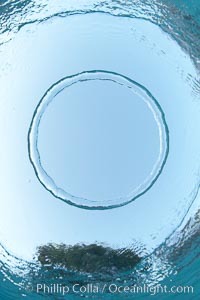 Photograph of Bubble Ring. A underwater bubble ring! 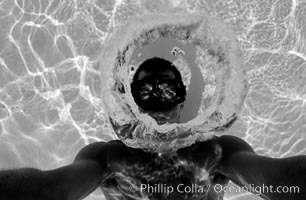 Similar to the rings created by smokers, an underwater bubble ring can be made by exhaling just right. When done correctly, the ring will rise toward the surface keeping its perfect toroidal form until it reaches a state of instability and breaks up. Bubble Ring Photos. A underwater bubble ring! 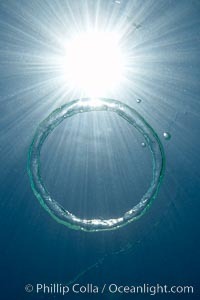 Similar to the rings created by smokers, an underwater bubble ring can be made by exhaling just right. When done correctly, the ring will rise toward the surface keeping its perfect toroidal form until it reaches a state of instability and breaks up. Bubble Ring Image.